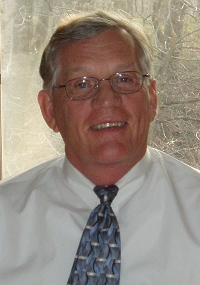 Mr. Sperry is a founder and an owner of ReliAscent LLC., a company providing management services to small business. The company serves a national market providing financial management, accounting and contract negotiation expertise. He serves as CFO for client companies and provides services to meet client needs in financial & business planning, accounting, investor presentations and management team development. Mr. Sperry is also Chairman, Chief Financial Officer and a founder of Synkera Technologies, Inc. since the beginning of the company in 2003. In addition, he is an owner of Technology Applications Inc., a company that develops and builds cryogenic and heat exchange systems for industry and the government. Mr. Sperry has more than 35 years of experience dealing with industry and the U. S. Government in contract management, program management, negotiations, finance and accounting, data rights, business planning, marketing, and new business development. He is an expert in small business accounting with the Federal Government, small business intellectual property rights, and technology commercialization. Technology with which he has worked includes nanotechnology, gas sensors, cryogenics, software development, electronics, micro circuitry, video cameras and monitors, microwave communications, medical electronics, aircraft, missiles, imaging systems, inertial guidance systems, spacecraft and agriculture. He has a B.S. Electrical Engineering from the University of Colorado (1967), an MBA Finance also from the University of Colorado (1973), and is a Certified Professional Contract Manager (1987).